US Secretary of State warns against weakening US-Saudi ties over the killing of Saudi journalist. 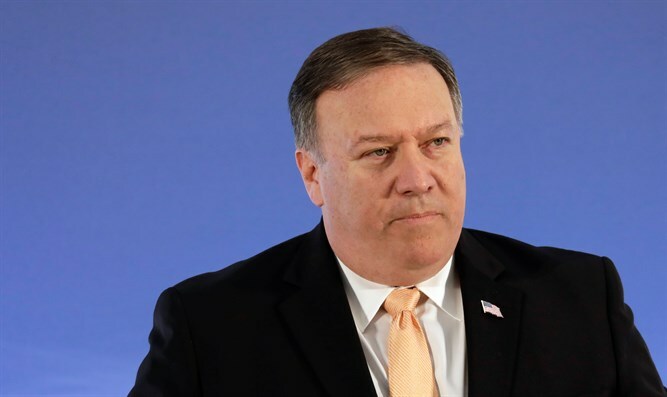 US Secretary of State Mike Pompeo said on Wednesday there was no direct evidence connecting Saudi Crown Prince Mohammed bin Salman to the murder of journalist Jamal Khashoggi in Istanbul last month. "There is no direct reporting connecting the crown prince to the order to murder Jamal Khashoggi," Pompeo told reporters, according to Reuters. He was speaking to reporters after he and Defense Secretary Jim Mattis warned the Senate in a closed-door meeting against weakening US-Saudi ties over the killing. At the meeting itself, reported AFP, Pompeo warned lawmakers that the brutal war in Yemen would worsen without US involvement. The US has supported the Saudi-led coalition that is fighting Iran-backed Houthi rebels in Yemen. "The suffering in Yemen grieves me, but if the United States of America was not involved in Yemen, it would be a hell of a lot worse," said Pompeo. "Abandoning Yemen would do immense damage to US national security interests and those of our Middle Eastern allies and partners," he added. "The Saudi-led coalition would not have the benefit of our advice and training on targeting, so more civilians would die. Yemen's terrorist groups would enjoy safer havens," insisted Pompeo. Furthermore, he warned lawmakers that a US drawdown would lead to a stronger Iran while reinvigorating both the Islamic State group and Al-Qaeda in the Arabian Peninsula. The Turkish government has accused Saudi Arabia of murdering the dissident journalist, who was last seen entering the Saudi consulate in Istanbul on October 2, and chopping his body into pieces. Saudi Arabia admitted for the first time several weeks ago that Khashoggi was killed after entering the consulate in Istanbul, after previously denying Turkish claims that he was murdered. At the same time, the Saudi leadership claimed Khashoggi was killed in a “rogue” operation and denied any connection to the murder. Recent reports have indicated that the CIA has concluded the Saudi Crown Prince ordered the killing, but the State Department has clarified the government was still working on determining responsibility for the death of Khashoggi. Some US lawmakers have called for a strong US response to Khashoggi's murder, including blocking arms sales and imposing sanctions beyond those that Washington slapped on 17 Saudis allegedly involved in the killing. President Donald Trump has reaffirmed his support for Saudi Arabia, despite the murder of Khashoggi, insisting the US-Saudi Arabian alliance is beneficial not only for American interests, but also for those of Israel.